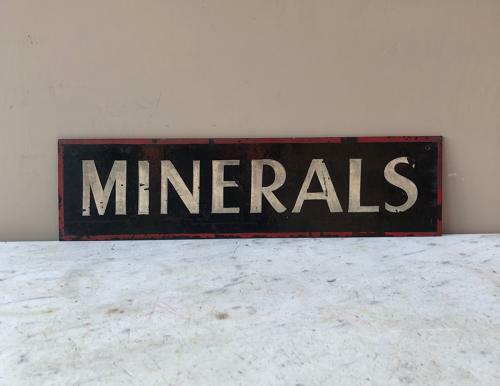 Early 20th Century Shops Hand Painted Sign (All Original). Could have been in a Chemists above Iron, Iodine, Zinc, Flouride Etc.. or above Waters in a Spa etc. Today great in a kitchen or above the Mineral Waters in a Restaurant Cafe Etc. It is painted on a bakerlite substance.